UNPO: Somaliland: Recognizing Independence Will Promote Stability In The Region. 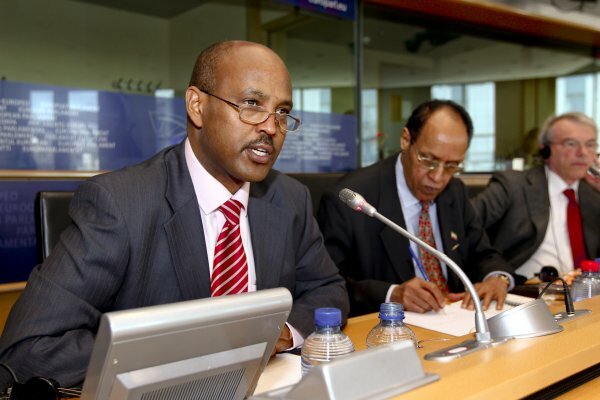 Somaliland: Recognizing Independence Will Promote Stability In The Region. Ahead of the Senate Committee hearing on Security and Governance in Somalia and the coming round of talks between the leaders of Somalia and Somaliland in Turkey, the Director of Somaliland’s Government Communications argued in a letter that recognizing Somaliland will help stability and security in the Horn of Africa. Below is an article by: Somalilandgov.com. Ahead of today’s [14-10-2013] Senate Committee hearing, Security and governance in Somalia: consolidating gains, confronting challenges, and charting the path forward, the Somaliland government welcomes the attention the Horn of Africa is receiving and notes the positive impact recognizing Somaliland could have on stability and security. “We hope that Somaliland’s model of creating a peaceful, democratic, stable nation can provide an example to the rest of the region. With five consecutive elections monitored by independent observers over the past 12 years, Somaliland has managed to create a free and open economic and political system in the Horn of Africa. We have put in place functioning state institutions including police and armed forces. Terrorists find no safe haven within our territory nor do pirates operate off our coasts. Our government is also committed to achieving rapid economic growth and sustainable development for its people. And yet Somaliland is still not recognized as an independent nation by the international community. We argue that recognition would help address critical security issues in the region by enabling the Somaliland army to receive training, and would ensure greater co-ordination of anti-piracy activity, including the use of Somaliland ports by other navies. Recognition would help establish more effective controls of people and arms trafficking through a normative state framework, and would support better state regulation of financial crime. Last week it was agreed that the next round of talks between the leaders of Somalia and Somaliland, mediated by the Turkish government, will be held on 8th to 10th November in Turkey. Talks will aim to strengthen cooperation in the fight against terrorism, extremism, piracy, illegal fishing, toxic dumping, and other serious crimes.